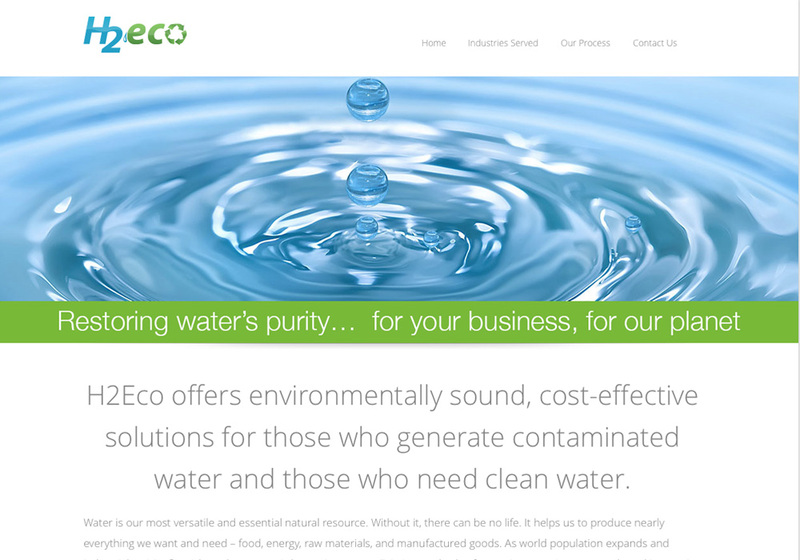 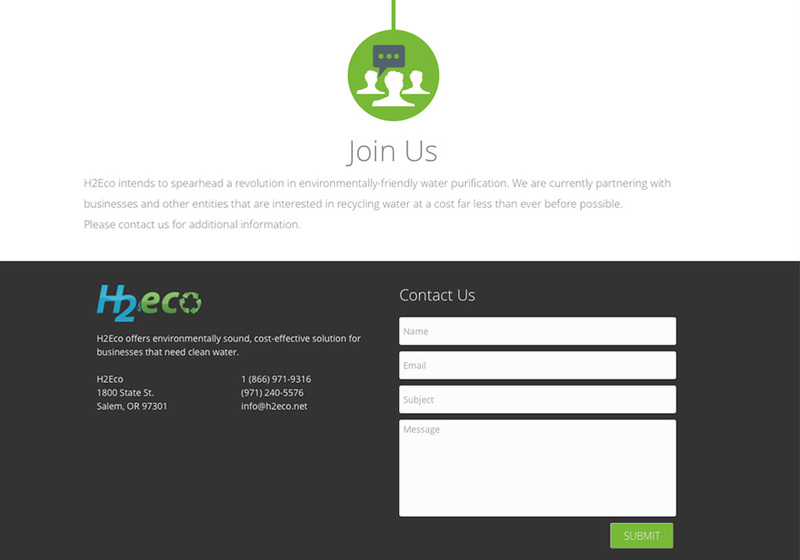 H2Eco came to us to create a simple and effective one-page website that they could present to investors for their start-up. 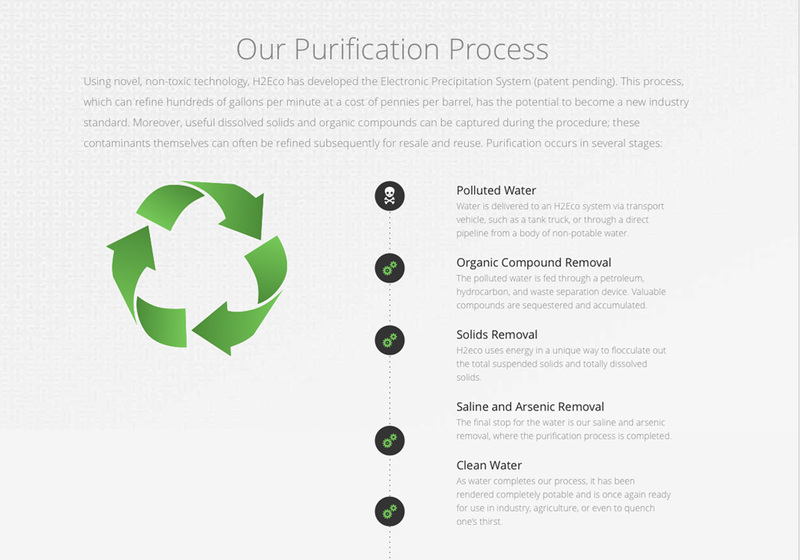 Since the company is still in the seed stage of funding we really worked hard with them to explain their process in a visual manner without divulging their proprietary patent-pending process. 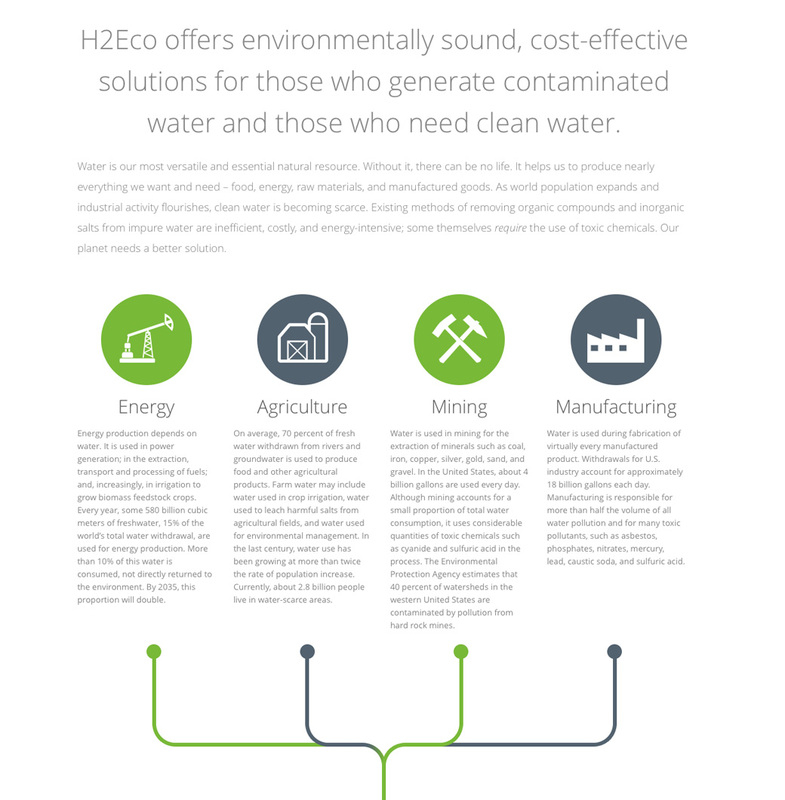 Being a seed-stage startup, H2Eco did not have a lot of content that they could publish without divulging a lot trade secrets in their patent-pending process. 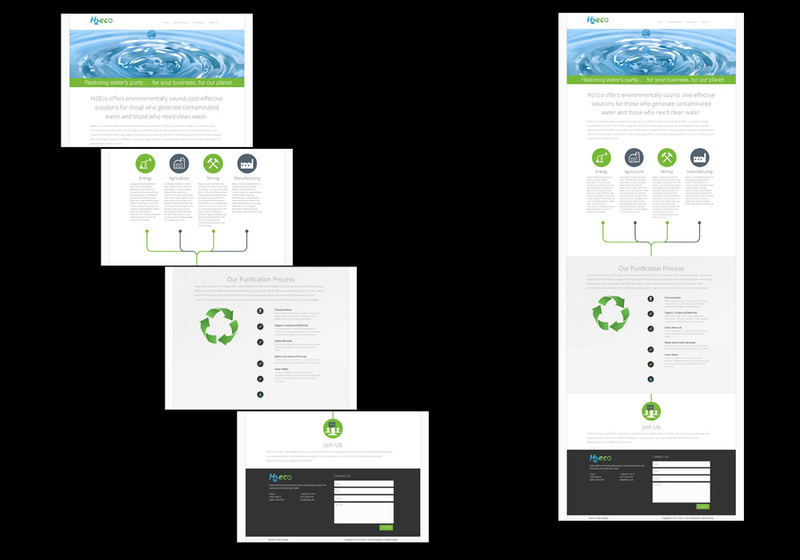 Limiting that content meant that a single-page site was the best way to show a professional appearance to investors. 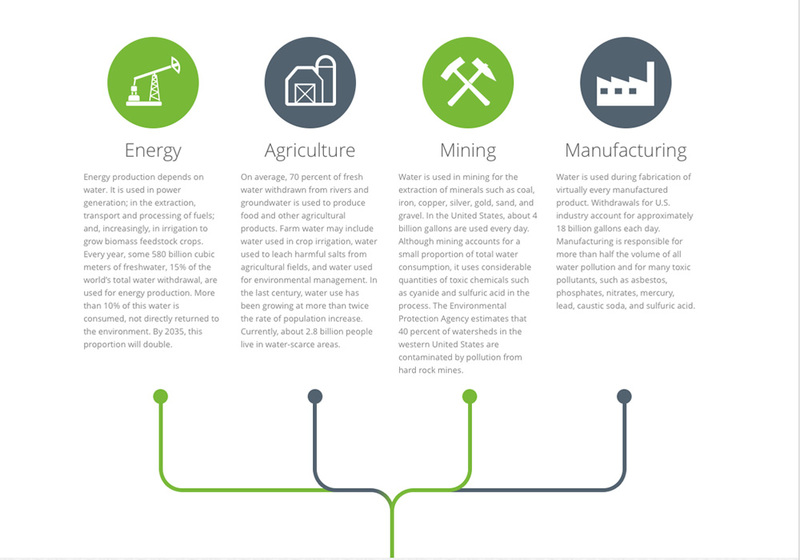 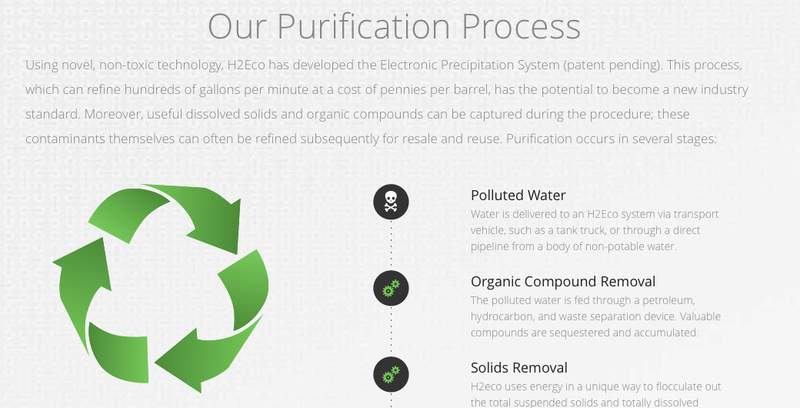 H2Eco has a multi-step process that they needed to illustrate to investors. 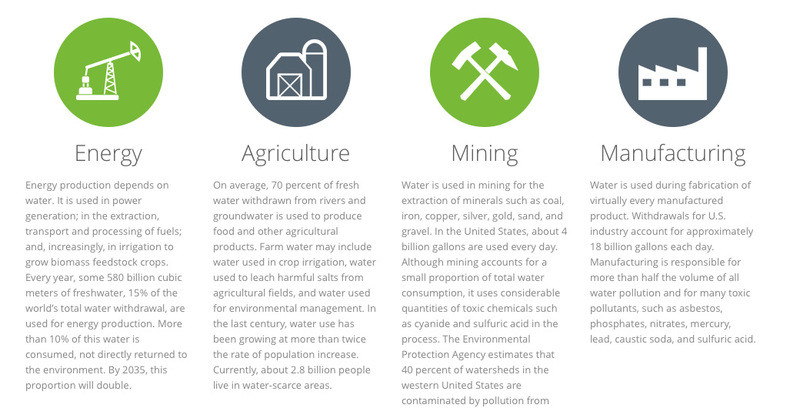 What we did is created icons and a linear process to show how the polluted water turns into clean water while leading the visitor down to the page to contacting H2Eco. 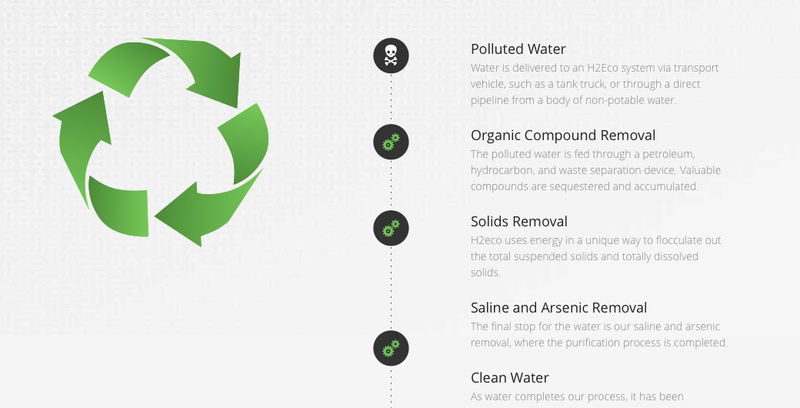 H2Eco’s process can be used in a multitude of applications and the icons that we illustrated were used to immediately connect the visitor to the industries that they can service. 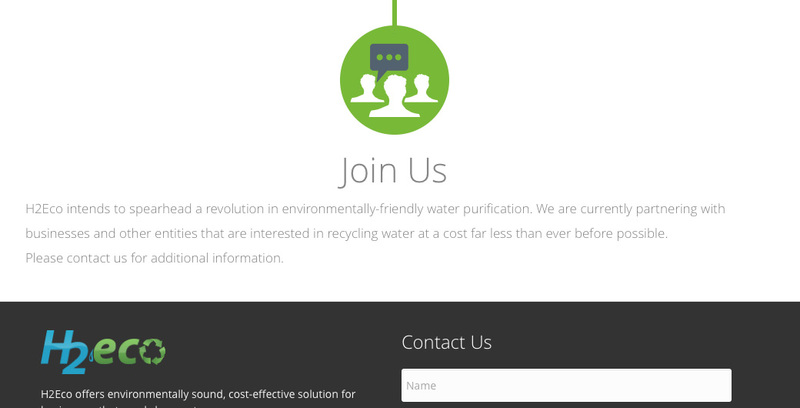 Being a single page design, the main goal of the site is for investors to contact the company. 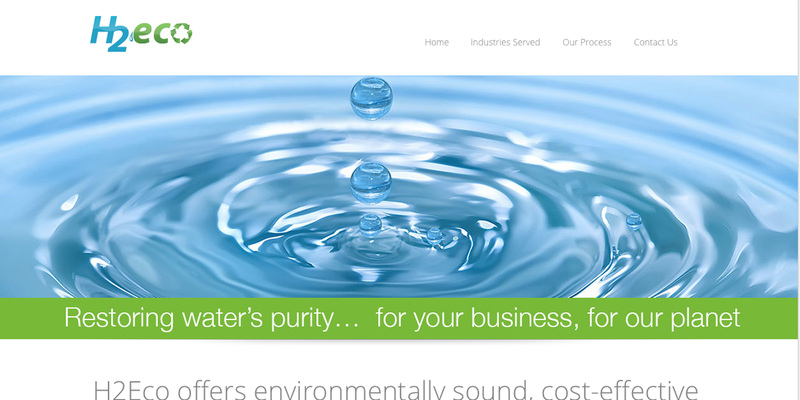 This design has been highly successful for the start-up and the logical position of the contact area is the reason for this success.